A coating reliably protects your vehicle! 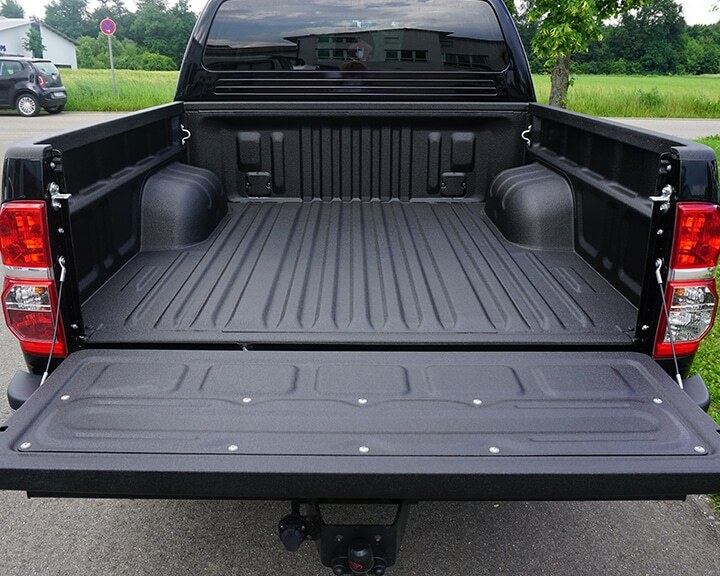 It prevents deep scratches, rust, slipping cargo and depreciation. Another advantage: forget the difficulties of keeping your fleet clean. 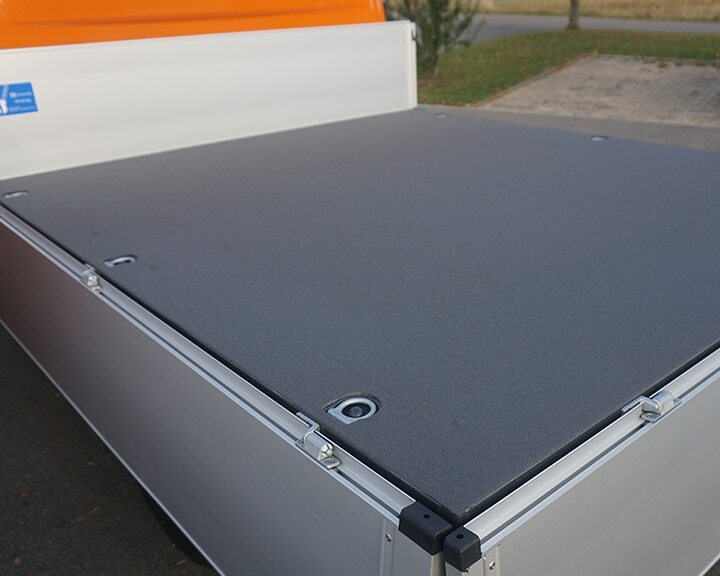 The coating is applied seamlessly and like a second skin in a special high-pressure process. 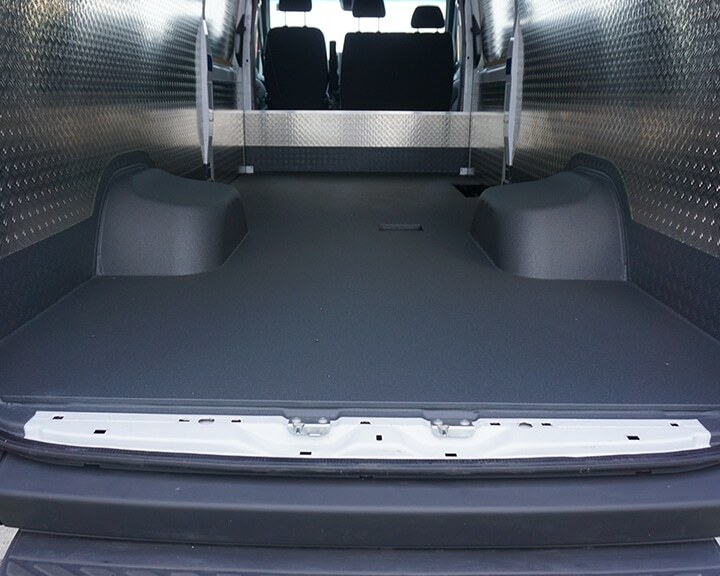 This makes the loading area permanently shockproof, resistant to almost all chemicals and maintenance-free. Steam blasting is therefore no problem at all. 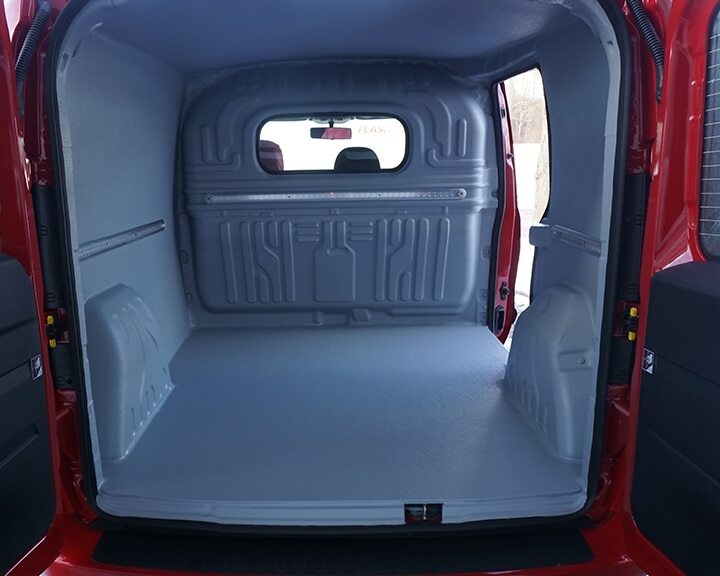 In addition, your vehicle is fully operational again within a very short time after coating. Many of our applications possibilities are quite amazing. Every day we get to know new industries and their special problems. The main areas of application are where heavy abrasion prevails or where tightness, corrosion protection and hygiene are required. 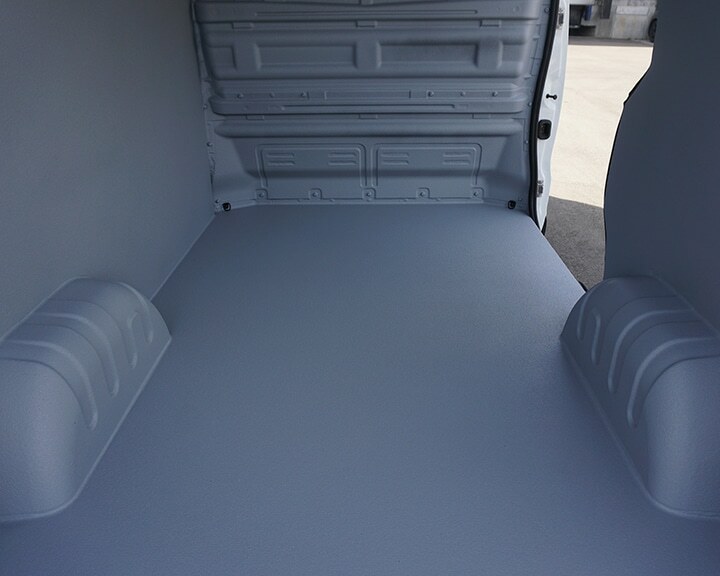 The stabilization of GRP, polystyrene or foams is also a popular area of application for our coating. We also improve the appearance of concrete surfaces and the like, whether through colour or surface structure. Expertly sprayed by highly trained technicians, you can be assured it’s done properly. Lining with the spray coating process offers you numerous advantages in a wide variety of applications. At the beginning there is always the question of the right material for a result of the highest quality. KCN relies on three basic materials: polyurethane, polyurea and so-called hybrids. The two-component system is applied with a special high-pressure system. The mixture shoots out of the mixing chamber at approx. 200 bar, is solid and resilient within a few seconds. The ideal mixing of the two initial components and thus an optimum result require a great deal of craftsmanship and the many years of experience of our applicators. Polyurethane has become an integral part of our daily life. We find it in refrigerators, shoes, cars and our houses, to name just a few. Polyurethane is a plastic whose production requires the addition of a catalyst – also known as an additive. Depending on the manufacturing process and choice of catalyst, the plastic has different properties. It can be soft and elastic, but also hard and brittle. 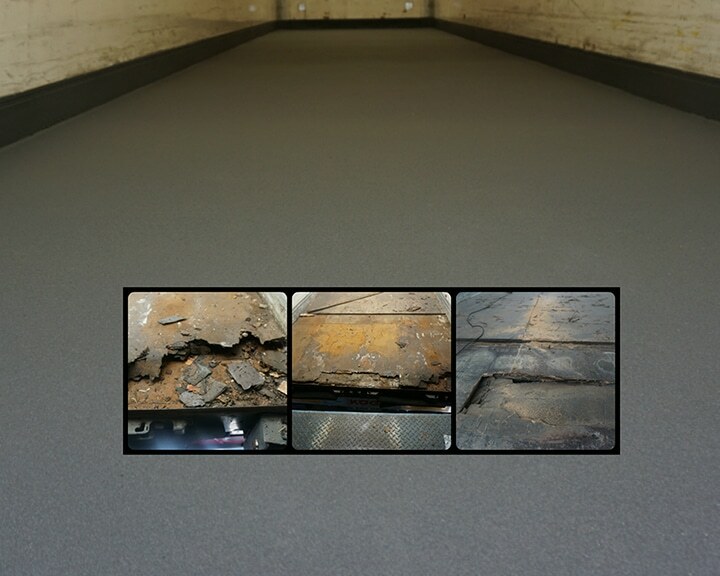 In combination with moisture, a reaction takes place that causes the polyurethane to foam. In this form, we know the material as foam rubber or construction foam, for example. However, this reaction is undesirable for spray coating using our process. For this reason we use a catalyst that reacts so quickly that no reaction with the moisture in the air can take place. Polyurea is a highly reactive polyurea prepolymer which, unlike polyurethane, does not react with moisture. In addition, no catalyst is required to activate the reaction. This results in numerous positive properties. Polyurea is absolutely waterproof, strongly bonding and elastic. It has an elongation of up to 700%, is extremely tear-resistant and remains tight even when twisted. Our polyurea coating is far superior to conventional coatings due to its high elasticity, excellent adhesion properties and fast processing times. Copolymerization is a process by which it is possible to combine polyurea and polyurethane. The result is a material that combines the properties of both components. This results in numerous further application possibilities for a coating of KCN.